Independent filmmaker Ali Kamanda of BIKO Studios, has won a prestigious Award of Excellence for Social Justice from the Best Shorts Competition. The award was given for Kamanda’s compelling short film, SALAY, which was shot in rural Sierra Leone with local actors to illuminate the difficult choices women are often forced to make to advance their opportunities in life. SALAY features Abibatu Shaw as Salay, a young woman grieving the loss of her mother, who feels the desire to direct her own life despite the pull of local traditions. Despite an intense rainy season and numerous production setbacks, filmmaker Ali Kamanda persevered to complete this moving portrayal of the dynamic between male and female relations. The Best Shorts Competition recognizes film professionals who demonstrate exceptional achievement in craft and creativity, and those who produce standout entertainment or contribute to pofound social change. Entries are judged by highly qualified professionals in the film industry. 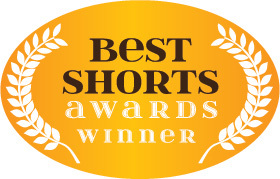 Information about the Best Shorts Competition and a list of recent winners can be found at www.bestshorts.net. This entry was posted on October 23, 2011 by bikostudios. It was filed under News and Press .